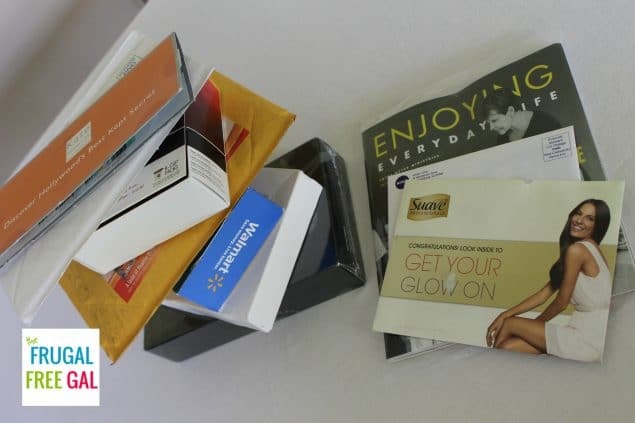 You are here: Home / Freebies / Mailbox Freebies: How to Get Freebies in Your Mailbox! Mailbox Freebies: How to Get Freebies in Your Mailbox! 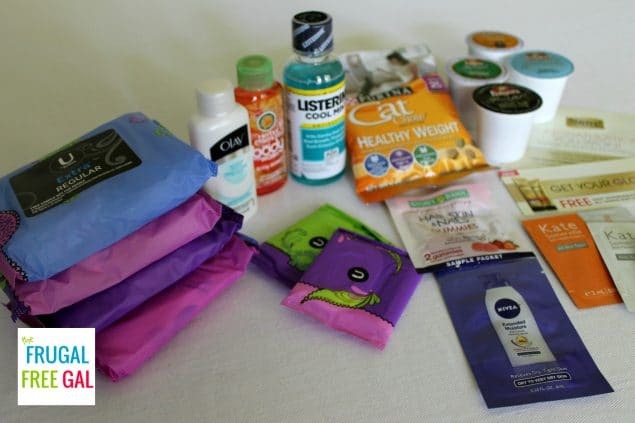 Do you want freebies like k-cups, mouthwash, feminine products, body wash, cat food, coupons for FREE products and much more to arrive in your own mailbox at home? It’s simple! Just subscribe to my daily email and you’ll get a FREE daily email that will list several great freebies we found around the internet! All you have to do is click on the links in each freebie post, fill out the required forms, etc! Check the freebie category on my website often, you never know what you’ll find! Keep in mind that whatever is posted on my website, I try to sign up for as well, so you’ll find us posting only freebies from sources we trust! Not all freebies do arrive, but most do. Check out my freebie category on my website often! Check out my mailbox freebies from the past I paid $0.00 for everything you see pictured. I simply signed up for the freebies as we posted them here and most of them did arrive! Tell me what you received in your mailbox! I like to get free samples. They help me too decide if I want to buy the item in the future. But, I do not like to fill out the never ending surveys that have nothing to do with samples at all. Ditto It’s so frustrating and then u get mega junk mail what sites r better? The freebies posted here at TFFG do not require you to go through surveys and offers before requesting samples. If that ever does happen on any one post, please help to make us aware of this as we usually check the sample process before posting here to avoid the survey/offer websites. I agree! I have fallen in love with several products because I enjoyed the sample. Or, the opposite — I realized I didn’t like it and so that also helped with future buying decisions! How do I avoid all the surveys? I want the free stuff but without the hassle. Please advise. There are several sites that are set up to provide freebies, but they attach a ton of survey ops and advertisements before you even get to the freebies. I suggest using the freebie category on my website, as we do not post freebies here where you have to go through the hassle of weeding through surveys/ad offers, etc. before requesting the freebies. To me, FREE means getting something without any strings attached!! If you have to give your opinion or answer a survey, then it is not free!! You are receiving something for doing something! Would Love to get free samples! I never complete the survey ones.